Shtrih-M is a high-tech business automation systems developer and manufacturer. 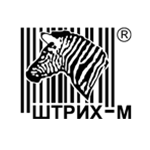 This is one of the pioneer companies in the Russian market in the area of business processes automation. Shtrih-M elaborated a diverse product line. The company deals with electronic, marketplace and transport equipment manufacture, vending facilities production, security and payment systems development. The chart below shows the changes within the last 30 days in the number units of Shtrih-m devices type are connected to Wialon Data Center.